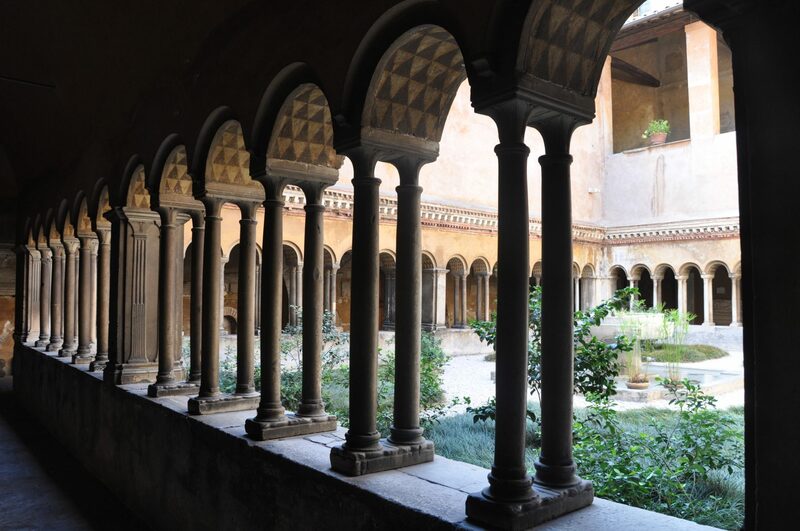 The Basilica of Santi Quattro Coronati boasts a 12th-century church (with 4th-century origins), a lovely cloister, and beautifully-preserved 13th-century frescoes (above). And it’s only a short walk from the Colosseum or San Giovanni in Laterano. But I’ve yet to see more than a handful of visitors there. I’m not complaining: The basilica does, after all, include a convent, and it’s nice to see it all undisturbed by hordes of visitors. But. The church is a gem — and a must-see for anyone interested in Rome’s off-the-beaten-path sites. The first church here was founded in the 4th century. Its name, “four crowned saints,” comes from its original dedication to the four soldiers who were martyred by Emperor Diocletian after they refused to sacrifice to a pagan god. But in 1084, the Normans burned the church to the ground during their sack of Rome. Pope Paschal II built the “new” version of Santi Quattro Coronati in the early 1100s, but at only half the size of the original. (Imagine!) Still, the structure remains impressive, particularly for the lesson that the pope seems to have taken from the Norman sack: If you’re going to build, might as well build fortified. Even today, Santi Quattro Coronati has the appearance, looming from atop the Celian hill and surrounded by thick walls, of a military fort. There are two parts of the basilica that you shouldn’t miss — but would if you didn’t know what to look for. One is the Romanesque cloister (right). Once in the main basilica, ring a bell on the left wall. One of the Augustinian nuns will come to let you into the peaceful, lovely space. (Donations are requested, though not required, for the upkeep of the convent and the basilica. These churches aren’t so wealthy anymore, and much of their art is suffering. If you can, give a euro or two). Once you’ve exited both the cloister and the basilica and are in the main courtyard, you’ll see a door to your left. That leads to the Chapel of St. Sylvester. Glorious but intimate, the chapel highlights the incredible narrative power of medieval frescoes, even those done by artists whose names have been forgotten. Don’t miss it. To enter the chapel, ring the little bell on the left after you’ve walked in. A nun will appear behind the grate and ask how many you are. The fee is 1 Euro per person. Once you’ve paid, she’ll buzz you into the chapel. There, you’ll find an entire 13th-century cycle of frescoes commemorating the life of St. Sylvester (below); they’re charming (they hadn’t quite figured out perspective yet! ), but breathtaking, too. 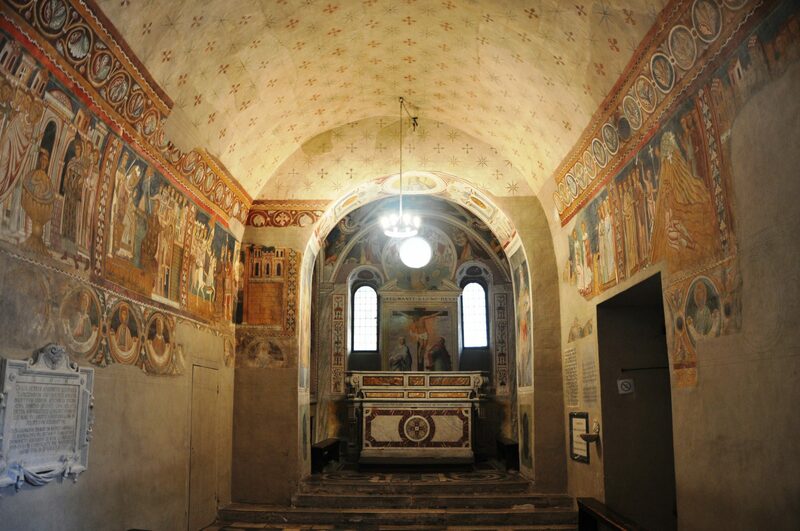 Not to mention that they’re incredibly rare for their state of preservation, giving you a chance to see 700-year-old frescoes largely as they’re meant to be seen — vivid with color and detail. 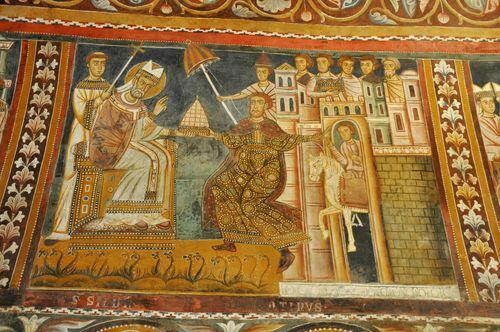 It’s not all that often that you get to see medieval frescoes in Renaissance art-laden Rome. Especially not alone, as you’re likely to be. Enjoy it. The Basilica of Santi Quattro Coronati is located at Via dei Santi Quattro 20; click here for a map. The basilica is open daily from 6:15am-8pm, but 6:45am-12:30pm and 3pm-7:30pm on Sundays and holidays. The Chapel of St. Sylvester is open from 9:30am-12pm and 4:30pm-6pm daily and from 9am-10:40am and 4pm-5:45pm on Sundays and holidays. In the Basilica, as in all churches in Rome, remember to bring some kind of covering for your shoulders and wear knee-length skirts or trousers; even if it’s not enforced, it’s a sign of respect for the church. The photo at the top of the website. 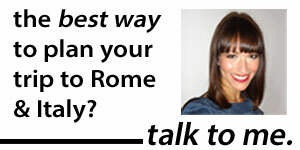 I would like to include it in a book I’ve written part of which is set in Rome. Is it copyright? Can you tell me if I could use it? I had an urge to find pictures of this Church as I attended an Ash Wednesday service here in 2007 while I was studying in Rome. It is a marvellous place and quite unknown to most tourists. I also must say that I really enjoy viewing your website. I loved living in Rome and it’s nice to re-live some of my favourite memories here.